The other night, a friend invited me to a volunteer meeting. She had just started volunteering for an organization that helps runaway teens. I said, “sure” since it was in the evening and I figured why not, I can’t get enough working with volunteers and I really didn’t want to watch any more tv programs about catfish catching with my husband. So, I went and sat down next to my friend and looked around at the concrete block walls, utilitarian fold up tables, uncomfortable stacking chairs and felt right at home, like a bird in a nest. The roll up screen was down, the laptop on, and the fuzzy power point welcomed us to the meeting. Whew. So far, my meetings were on par, so I relished in the fact that there were no black tie clad people serving shrimp on toast, no full length videos and no dancing staff members replete with their own “thank you volunteers” song. I wondered, should I raise my hand, but the moderator handled it as well as she could, saying that volunteers like this gentleman were hard to find and that they were making a concerted effort to reach out to the community. Now, I know the truth and I suspect this gentleman did as well. The truth is, we all try, but recruitment is just one part of our jobs. It jockeys for position along with retention, recognition, problem solving, mediation, human resources, and every other little thing that gets thrown our way. The luxury of just recruiting is unthinkable, sort of like coming home to no housework or driving a car forever with no maintenance needed. I wish. The moderator and this gentleman bantered back and forth for a bit while the rest of the volunteers looked on. I suspect this scenario plays itself out all across the volunteer spectrum. I wondered if the moderator felt frustration, not at the volunteer, but at the fact that this volunteer had to remind her how much was on her plate and how she could only give a percentage to each task. Volunteer Frustrations can bubble up anytime. Some volunteers will make an appointment to air their concerns privately. Others may “blow” in a meeting or while working on an assignment. I’m no psychologist (ask my husband, he’ll tell you-as he watches catfish being hauled out of a river) but I suspect that the volunteer who vomited his frustrations grew very tired of a meeting in which everything was normal. I suspect that in his mind, no one was addressing the glaring lack of volunteers. I suspect he may have felt like this new moderator could do something about his concerns. I’ve had that happen on more than one occasion. 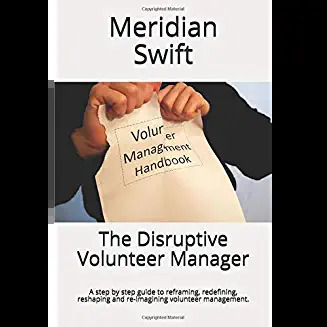 I go through channels to address a volunteer’s request, but it languishes and the volunteer corners a new staff member because they may have more clout. 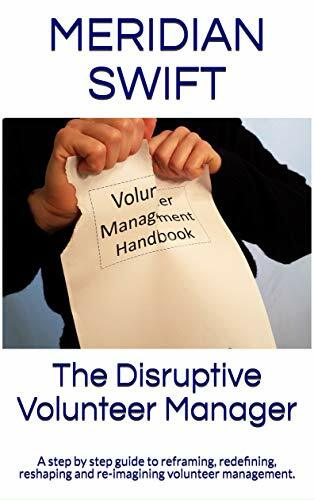 We, volunteer managers are continually checking on our volunteers, but we are not perfect. Sometimes we can see frustrations building and sometimes we can’t. We try to intervene before volunvomiting happens but we can’t always see it coming. Most of the time, the frustrations our volunteers feel are the very ones we feel too. Vexed volunteers are not bad volunteers. They want what is best too, so let’s put that vexation to work. Diffuse that frustration by challenging them and the folks around them to help better the situation. Excellent! Applicable for many kinds of meetings. Thank you for your insight and knowledge, good sense, humor, and usable ideas. Thank you Susan! Why do folks hate monthly meetings? For the same reasons the moderator hates them, except that the moderator is held responsible! If only we could invent a Volunvometer that could warn us of imminent volunvomiting. Still, whatever our own frustration at least we don’t do the slick fob-offs we get handed from politicians. Getting a win-win through courteous listening and cooperative action is an all-round satisfying outcome. Hi Sue, so true! We could never get away with slick answers meant to placate. We actually have to follow through on the things we say/promise, because volunteers have a wide variety of choices besides our volunteer offerings.